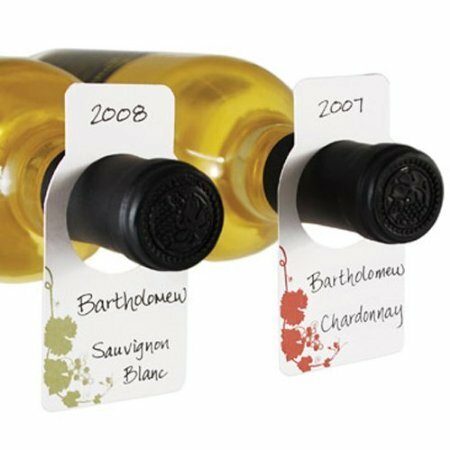 Save 1% on the Wine Cellar Tags - Set of 100 - Comes with 2 Writing Pens - by True Fabrications at Foom App. MPN: unknown. Hurry! Limited time offer. Offer valid only while supplies last. Do you have a large number of bottles stored on a wine rack or in a cellar? Make their names and vintages easily accessible with these cellar tags. Do you have a large number of bottles stored on a wine rack or in a cellar? Make their names and vintages easily accessible with these cellar tags. Each pack includes a pen and 50 white cards featuring a vine and grape pattern (50 red and 50 green).